Two people were killed early Thursday morning when a fighter jet crashed in the southern region of Iran, state-run media reported on Friday. There were no survivors. Islamic Republic of Iran Air Force Grumman F-14 Tomcat similar to the accident aircraft. 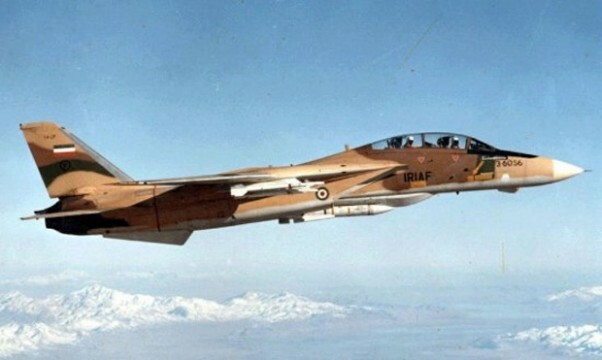 The accident happened at around 4:30 am local time when a U.S.-manufactured Grumman F-14 Tomcat fighter jet crashed near the village of Kereband in the southern coastal province of Bushehr, the Mehr News Agency (MNA) reported. 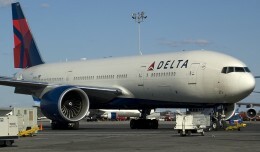 MNA said the accident took place about three minutes after take-off as the result of a “technical malfunction,” but gave no specific details. 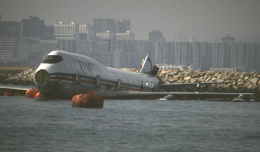 The agency said both the pilot and co-pilot were killed. Iranian aircraft are frequently involved in accidents which the Iranian government blames on sanctions by the international community. The sanctions, mainly over the country’s nuclear program, prevent airlines and the government from buying spare parts and carrying out proper maintenance. Iran’s first F-14 was purchased from the US in 1976 while the two countries still maintained friendly diplomatic ties. The US Navy retired its last F-14 in 2006. 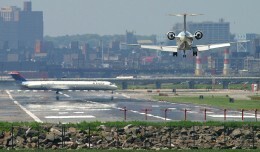 Over the Edge: How Safe Are LaGuardia’s ‘Short’ Runways? 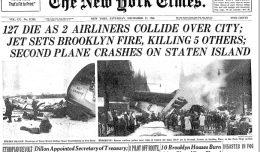 For decades, La Guardia Airport has been known for its short runways. Are they truly safe for us to takeoff and land on? 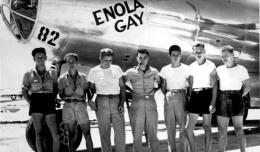 The US drops first atomic bomb on Japan, Ted Williams returns to the Red Sox from Korea, Braniff Flight 250 crashes in Nebraska, and more. Praise to the Shah. They are still flying a fleet bought in the 70’s. An F-4E crashed in Bushehr on Monday.